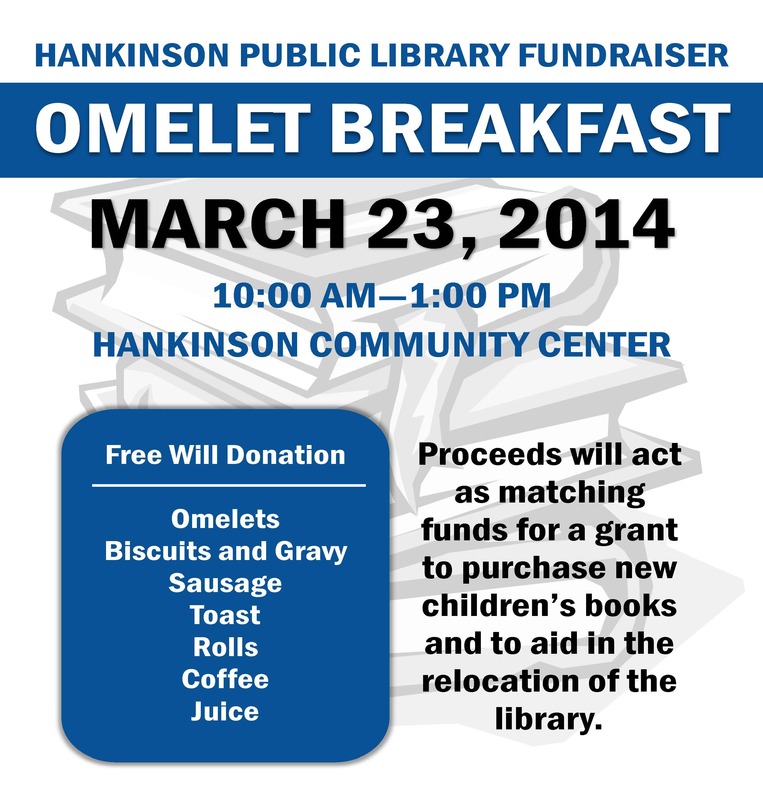 Join us for an Omelet Breakfast Fundraiser at the Hankinson Community Center from 10-1 on March 23. Proceeds will act as matching funds for a grant to purchase new children’s books and to aid in the relocation of the library. By hankinsonlibrary in Uncategorized on March 17, 2014 .